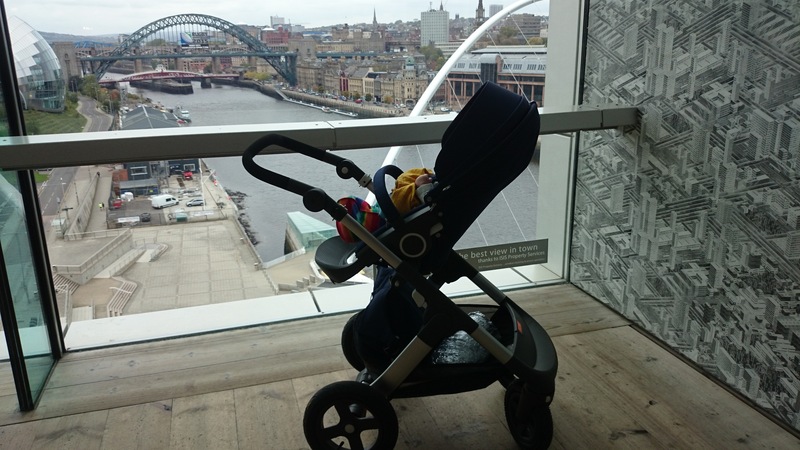 Back in October, Jake and I took to the streets of Newcastle (and a bit of Gateshead) with our new Stokke Trailz as part of the fab Stokke On The Go project with Made For Mums, showing off their iconic pushchairs in iconic UK locations. 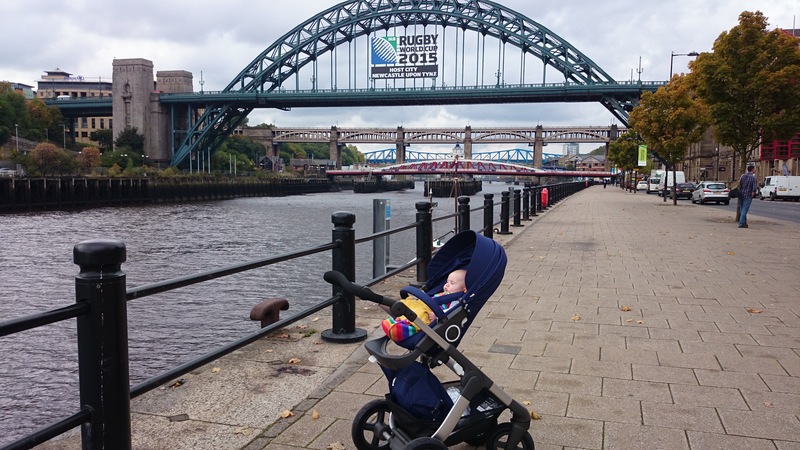 There are few more iconic sights for a Geordie than the Tyne Bridge, so I took Jake down to the Quayside for a stroll along the river. We travelled on the Metro (local train system) to the station beneath Grey’s Monument in the centre of town, and walked down the architecturally stunning Grey Street until the unmistakable form of the bridge loomed over us as we passed underneath it. 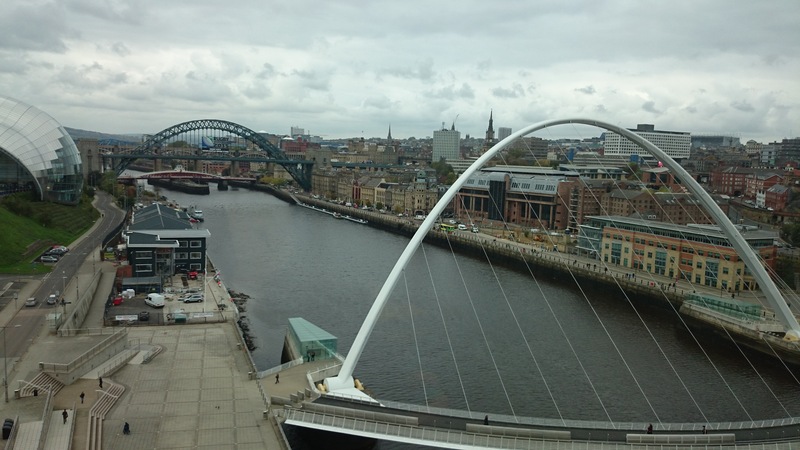 Of course the Tyne Bridge isn’t the only river crossing between north and south – the amazing ‘blinking eye’ Millennium Bridge is an incredible structure, and the best way for pedestrians to get across to the BALTIC Centre for Contemporary Art, an old converted flour mill housing a modern art gallery, cafe, restaurant, and an awesome viewing gallery from where you can look back over at the city and see the bridges in all their glory. 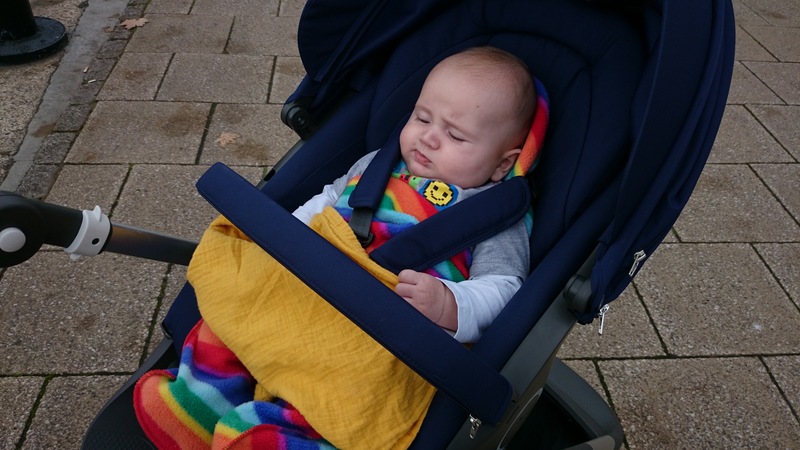 Jake and I enjoyed a refreshment stop in the cafe before heading back over the river and the less enthusiastic return journey up the steep hill back into the city centre. We really have been wowed by the Trailz. It’s good to know that it will be with us for many more days out in the years to come! 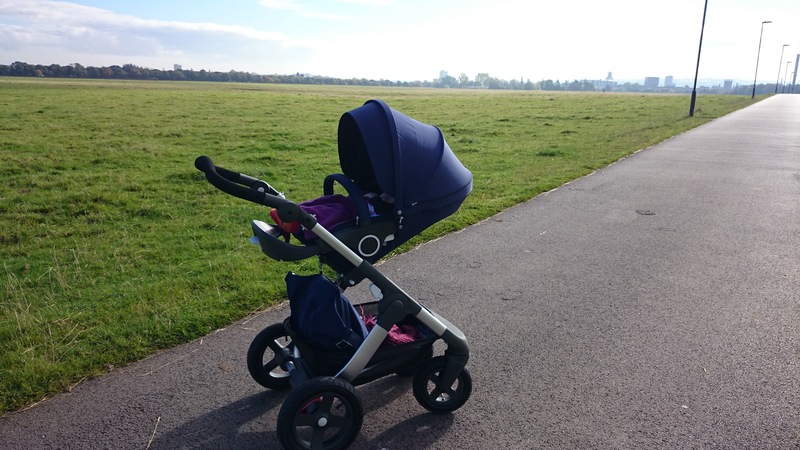 You can see all the Stokke On The Go videos by exploring the interactive map here. This is ours! 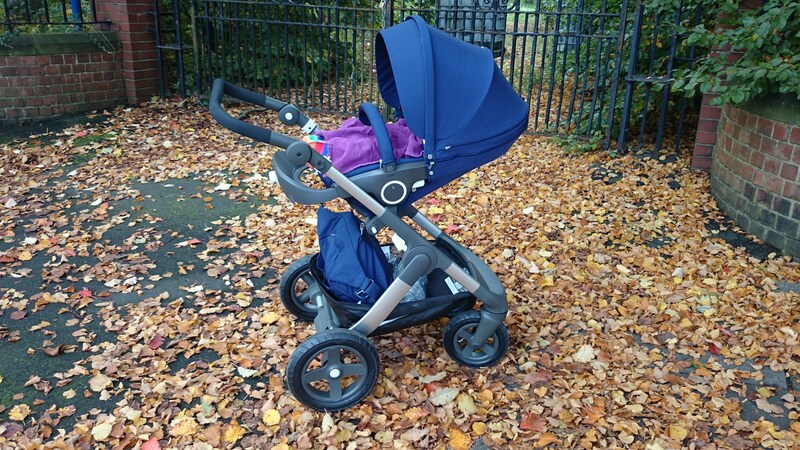 I was given a Stokke Trailz for the purpose of filming our Stokke On The Go video. All opinions of the product are my own. Jake’s on the HiPP Organic Wean Team! 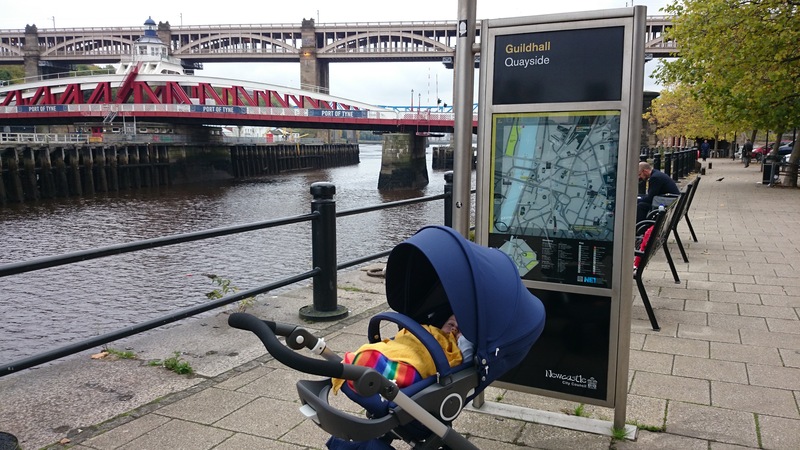 ah great to see some photos of my hometown, it really is amazing the whole path from Grey St down to the quayside.